← WHY ARE SO MANY PEOPLE WHO LIVE IN THE PEOPLES REPUBLIC OF CALILFORNIA CONFUSED ABOUT SO MANY THINGS? 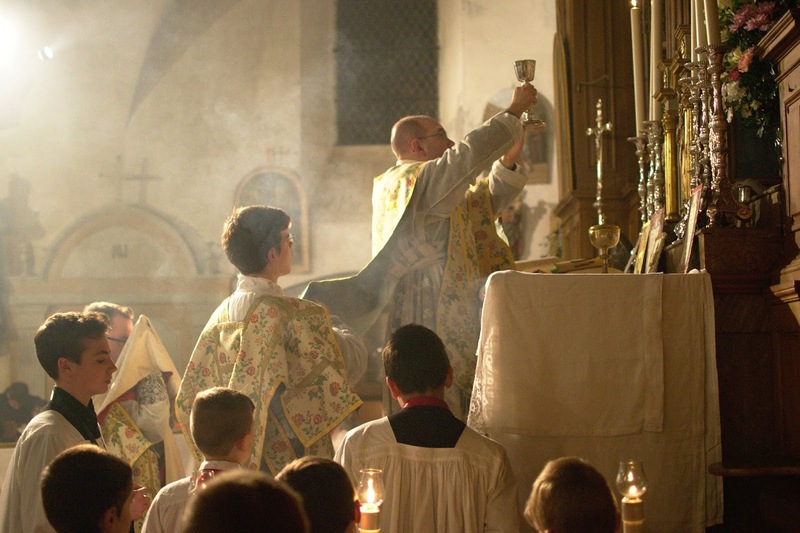 While the bureaucrats are running around at synods and conferences and trying to put out noxious fires without the water of moral purity and therefore failing every time: young priests, not only in my diocese, but in most dioceses through the Catholic world, are just learning once again how to worship and are discovering the beauty of worship, and they are teaching this to their flock. And they, and the Traditional Mass they love,— they are the Future of the Church. It is the bureaucrats at all levels of the clergy who kept the apparatus alive for fifty years, so that when a Pope resigned, they only had to change the direction in which they faced when they woke up in the morning: from the East to the West. One need not wonder how the double coup of a resignation of a Pope and an election of a 60s bishop to the papacy did not result in confusion and chaos. For when those formerly in power and then underground for fifty years came into their own once again, back to the future, the supporting bureaucracy in all levels of the Church were ready and able to support them in their project of remaking the Church in their own 60s image. And part of the glue holding this together and making it possible was the damnable success of the moral corruption of the clergy at all levels, a corruption that enabled the bureaucracy to control by intimidation based on incriminating knowledge and to advance their agenda unimpeded, except for a few gadfly cardinals and bishops.